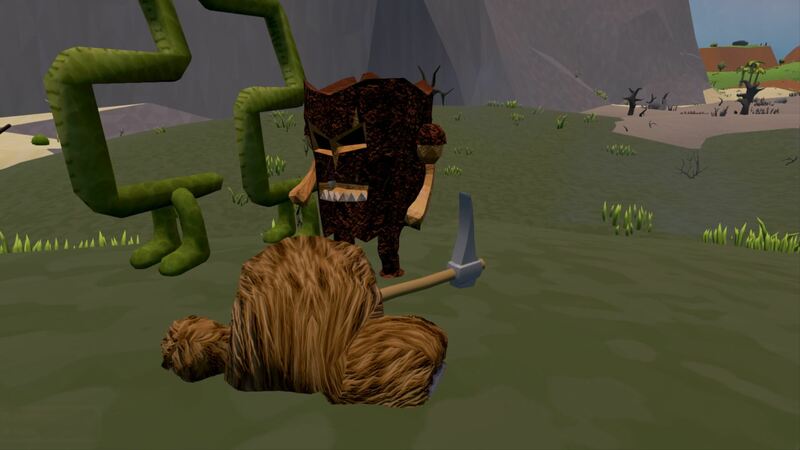 Use your head while gathering materials in this brutal survival game. 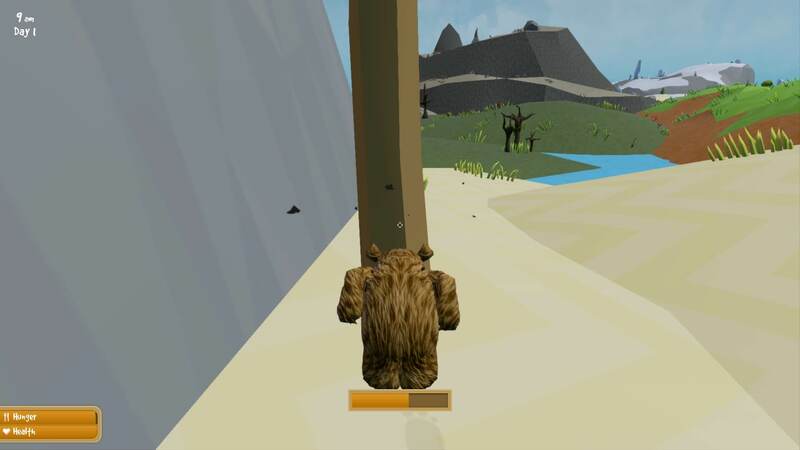 As a migraine sufferer, I had some trepidation going into a game where a bear uses its head to gather wood and stone. 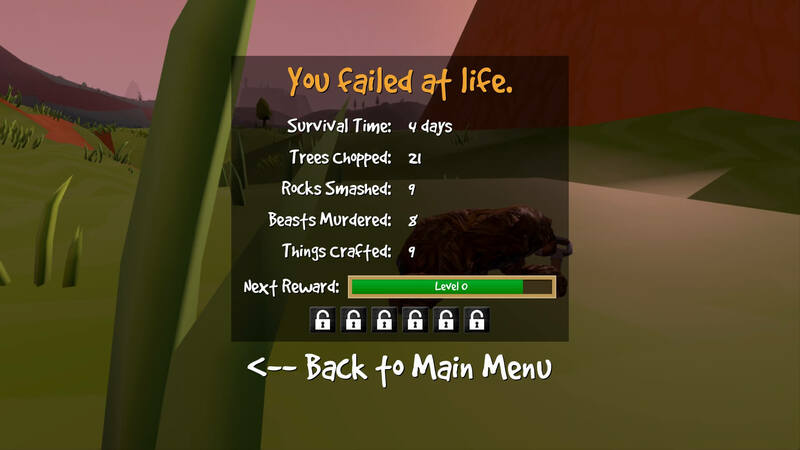 However, since it wasn’t actually me in Wrongworld, I could (bear-ly) watch him do it. After seeing it a few times, the concussion worry slowly clawed away. 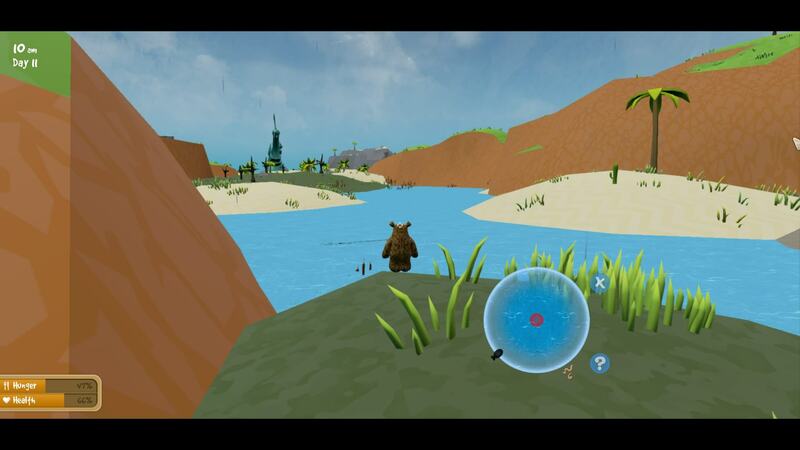 Wrongworld, from Sludj Games, is a crafting and survival game that could just as easily been called ‘Weirdworld’. Having played a multitude of survival games, I can easily say this one has some of the strangest things I’ve ever seen. The saving grace is that it’s fun. Smashing my head to gather some wood. The difficulty settings are unlike any other survival game I’ve played, as well. There is a Creative, which I never look at, which is your basic open-build mode with no hunger or health worries — anything goes, no experience, etc. However, the other ones are where it immediately starts to get tricky. Easy mode means there’s no permadeath, however you don’t gain any experience — which is important. The health regeneration is a little faster than in normal. Normal is where you gain experience, with some help from health regeneration. However, if you die, it’s permadeath all the way — meaning it even erases your save! When you die, you’re done for that build. Aww, my very first game, even. 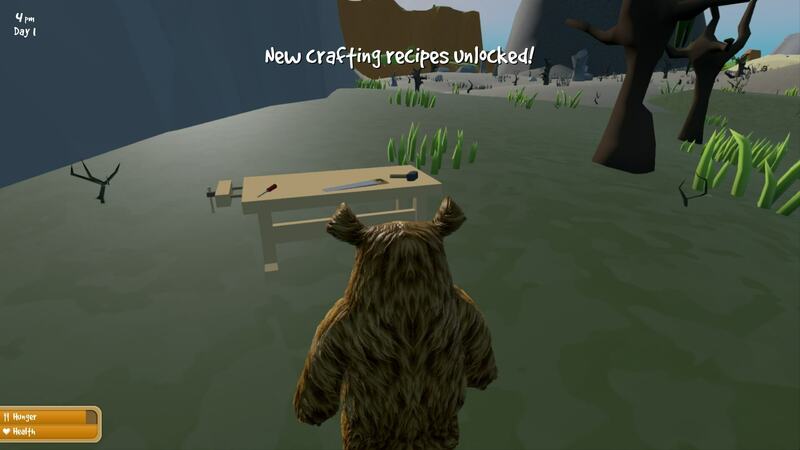 After you, as the cute little bear, gather enough wood, you can start crafting things. (Everything in this game is ‘cute’, however most of the creatures you come across are mean as hell. Almost everything in Wrongland wants you dead. I’m guessing as you’re in the wrong world, nothing wants you there — so the obvious choice is to do everything possible to kill you.) As the most basic items generally require ten wood, you’ll be head-banging like you were at a Metallica concert. All I did was chop a tree. Something angry was waiting inside. This thing is Enormous… and relentlessly chasing me. What you choose to craft, and the order you pick, may or may not work out as you ‘planned’. You may think, ‘Well, obviously I need this first…’ only to realize you were caught off guard and really needed something different. Then, after you die, you take the approach you thought was correct before — only to be viciously surprised by something completely different this time around. The only way around all of this is the overused and obnoxious ‘git gud’. Practice makes… your imminent death prolonged, at least. Then, there’s the major issue — hunger. First, you’re seemingly always hungry. The one creature I found that was docile, I decided to kill. The achievement I got? ‘Meat is Murder!’ Well excuse me for almost starving to death. I’ll kill anything I think will give me food. If you get some ‘spare’ meat, you can go fishing. It’s an odd statement, but you’ll come to understand. Occasionally while chopping a tree, it’ll drop an edible cranberry. Or sometimes a monster that, of course, wants to kill you, but will serve as your food. Sometimes you can find a mushroom. True to the game, however, sometimes they’re poisonous. Although with three of them and a campfire you can make mushroom soup (which provides more nutrition than eating them by themselves). Attempting to do some fishing. If you can get a complete shelter built, I understand it’ll withstand tornadoes. Yes, there are tornadoes, but I’m trying my hardest not to spoil all of the strangeness that occurs in Wrongworld. Since I haven’t made it that far yet, I haven’t been able to test that theory. By using stone, it doesn’t really take too long to build a basic building… if you can be left alone long enough to actually put it together. Do you think nights are tough in, say… most zombie games? They don’t hold an undead candle to the shenanigans that happen at night in Wrongworld. Attacking this beast for meat. It’s best to have eaten your Wrong-Wheaties when it gets dark. Also, there’s no slow sunrise or sunset either. It’s day… then all of a sudden a semicircle cranks over and it’s night — instantaneously. But, the same thing happens when turning into daytime, provided you survived long enough to see it. Having already mentioned there’s no permadeath if you play on Easy (to try to learn the game), then when you die, you have the ability to pick up all of the items you dropped — if you can find them. Every time I tried easy mode, when I died and respawned, it was always somewhere in the world I’d never even seen or been before. There’s no map, coordinates or compass, so good luck finding your stuff. I actually did find it all a couple of times… out of a million games (and I never exaggerate). All you have for guidance are flags, if you used precious materials to make them — and the fact that the sun rises in the east and sets in the west. Finally got to build a workbench! For the most part, I played Wrongworld on Normal, which the game says is ‘how it’s supposed to be played’. I won’t spoil anything about leveling up and what that entails or what that entitles you to. However, I tell you what: Wrongworld’s tough. Regardless of day or night, there are things coming after you — and not to be your friend either. There’s a myriad of weirdo-ey creatures coming for you, and usually in numbers. The save deletion is rather jarring, but I respect it. 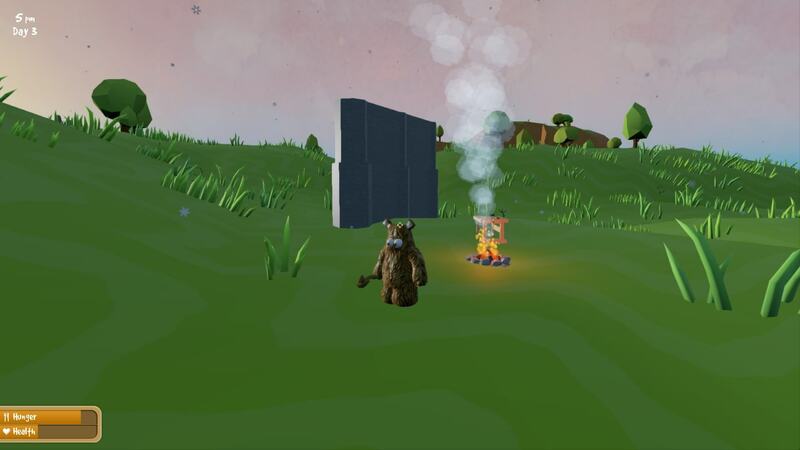 Wrongworld’s good, it’s fun and it’s truly a survival game. Now, I’m off to start yet another new game and do some Pantera-level head-banging. Maybe I can get an entire house built this time. Start of a shelter, at least. This is what Death looks like. Did take three of them to kill me, though. Wrongworld is available now for PC. While it is not in early access, the developer is actively adding new content.